The Trans-Siberian Orchestra's - EAST Coast Band- 2012 Winter Program. 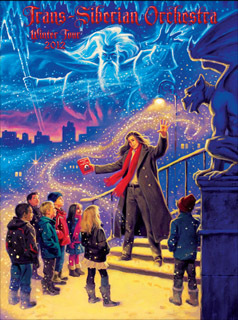 This book features a wrap around front and back cover illustrated by Greg Hildebrandt created exclusively for the Trans-Siberian Orchestra TSO. There are more projects in the works between the TSO and Greg Hildebrandt.